Libraries and jails may make for strange bedfellows, but not in Sandusky, Ohio. In 1870, a remarkable group of local women undertook a three decade effort to create a library that would serve Sandusky and Erie County. For many years they operated a small subscription library and by 1886 had created a building fund to build or purchase a permanent library. In 1898, having acquired sufficient funds, the Library Association purchased a house and property at the southwest corner of Jackson Street and Columbus Avenue for $10,000. The location was ideal to serve as a temporary library. In 1899, through the efforts of a Sanduskian, Mrs. Jay O. Moss, wealthy philanthropist Andrew Carnegie offered to donate $50,000 to Sandusky for a library if the community would participate by providing for the maintenance of the building. 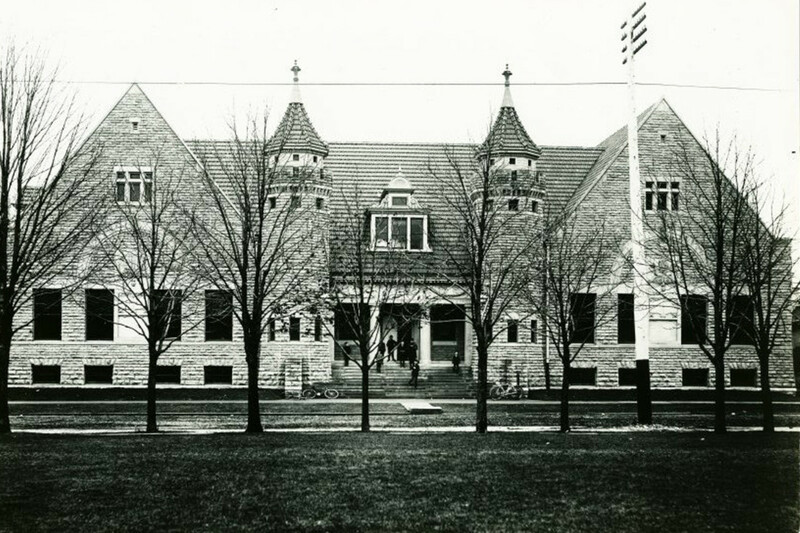 The new Carnegie Library was dedicated on July 3, 1901. The Sandusky Library is the third oldest Carnegie Library in Ohio. It was designed by Albert D’ Oench and Joseph W. Yost, the first building these famous architects collaborated on. In style, it is Second Romanesque-Revival featuring twin turrets with battlements. The property was placed on the National Register of Historic Landmarks in 1975. The Erie County Jail, built in 1883, was located on property adjacent to the library. It is a good example of an Eastlake-style civic building. The Jail also included a residence for the sheriff, an arrangement that was common in the 19th century. In 2002, the Sandusky Library purchased the Erie County Jail and embarked on a $10 million expansion project to renovate and connect the two buildings. This was a bold vision, but the results were spectacular, an innovative use of two historic buildings. Visitors are encouraged to tour the interior of the joined structures to appreciate the utility—and beauty—of the new Sandusky Library.